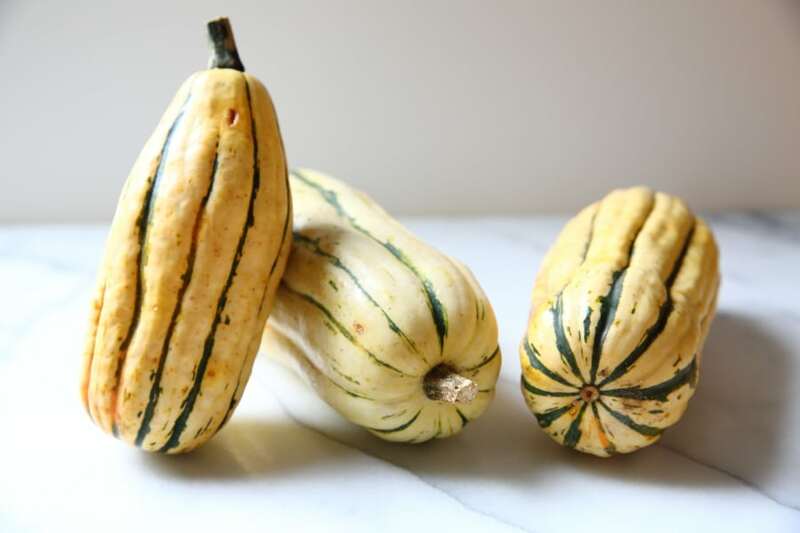 Delicata squash is now available and a slew of grocery stores, as well as at farmer’s markets. Look for squash that feel slightly heavy for their size, without any soft spots or bruises. You’ll want to make sure you wash it before cooking since you’ll be eating that skin. 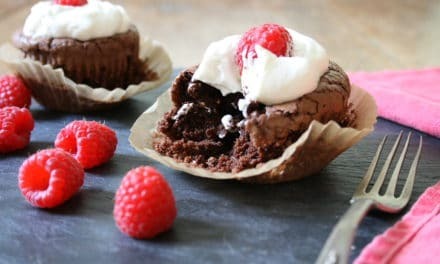 Use parchment paper to prevent sticking (plus you’ll have an easier clean-up!). I’m obsessed with these pre-cut sheets and these sheet pans. While you could simply roast the squash with olive oil, salt and pepper, I like to amp up the flavor. 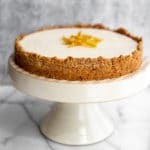 This version uses maple syrup and Dijon mustard, but you could also try spices and/or herbs (some favorite combos include maple syrup and chili powder; Dijon mustard, honey and sage; honey, cinnamon and cayenne). Tongs are the best tool for turning the squash, as they’re fairly delicate once cooked. Serve the roasted squash as a side dish alongside meats or fish. 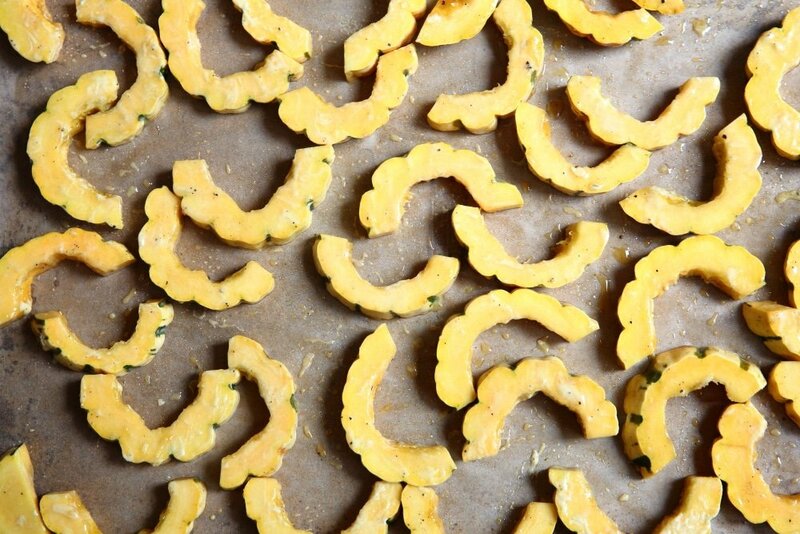 Layer the squash into salads. 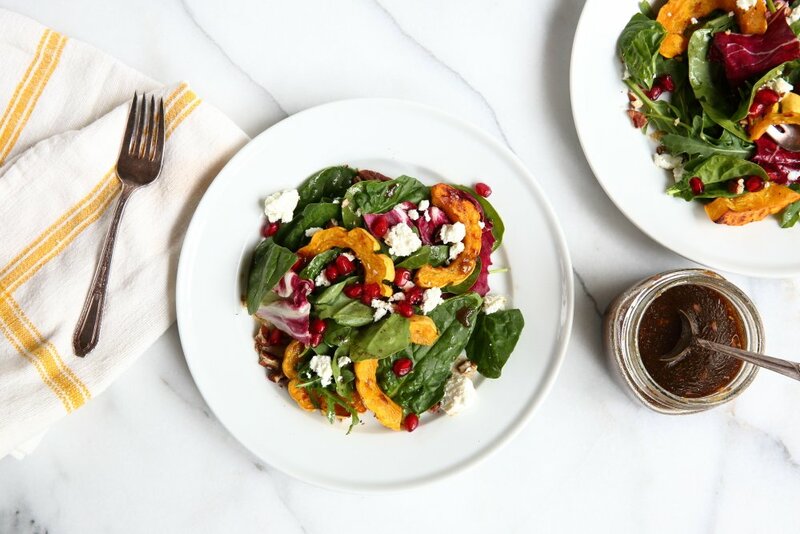 I especially love this maple Dijon delicata squash with mixed greens, roasted nuts, pomegranate seeds and goat cheese (get that recipe here). 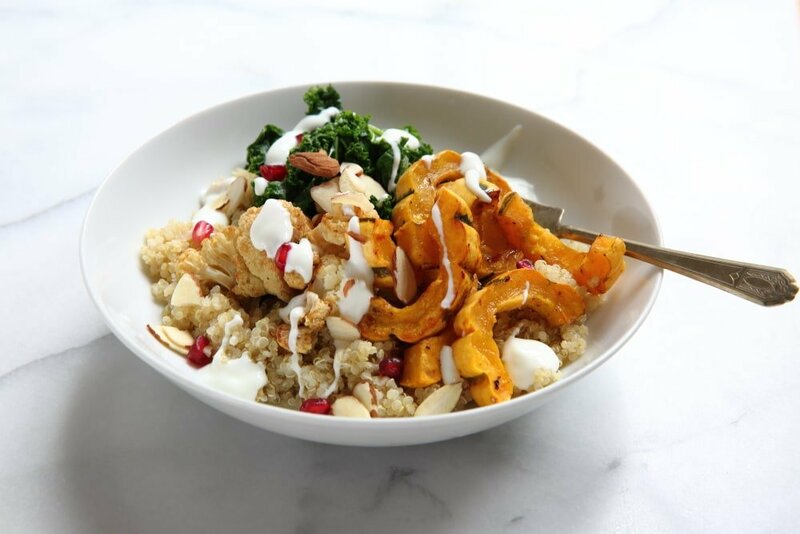 Pile the delicata squash into grain bowls with other veggies. 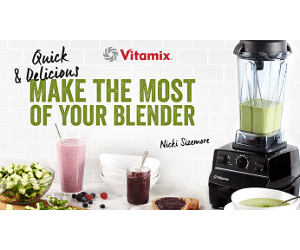 The version pictured above has steamed kale, roasted cauliflower and a simple garlic yogurt sauce (lemon juice, garlic and plain whole milk yogurt), but you could use any veggies you have on hand. In my book, Build-a-Bowl, I feature a delicata squash bowl with black beans, cauliflower, avocado and a creamy chipotle sauce—YUM! 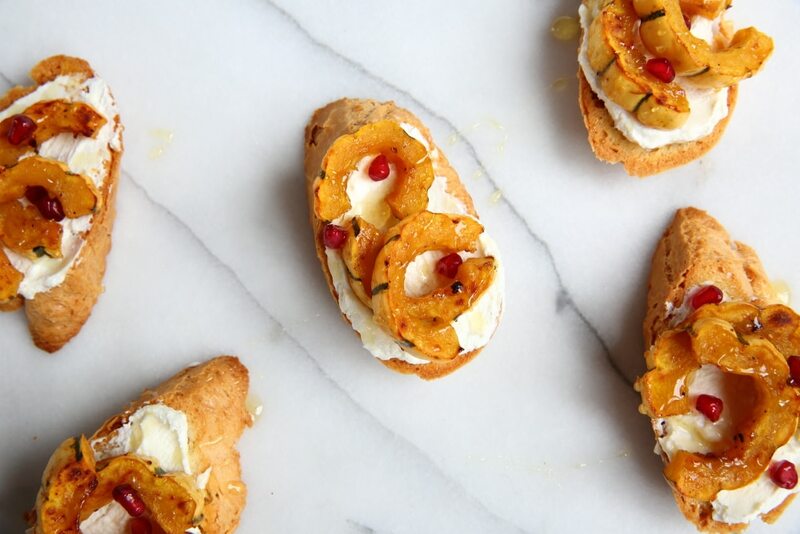 Arrange the squash over crostini for an elegant appetizer. 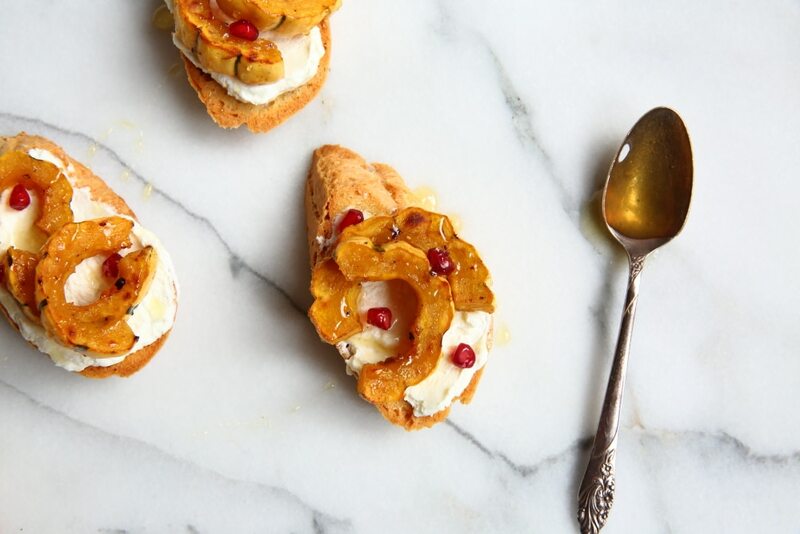 I like to serve them over whipped goat cheese (mix room temperature goat cheese with milk and mix until smooth) or whipped ricotta (check out these whipped ricotta crostini). 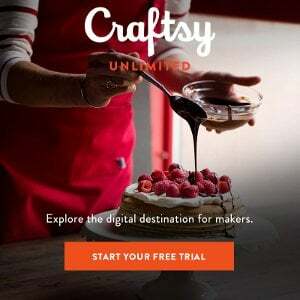 They’re especially delicious with a drizzle of honey and a sprinkle of sea salt. 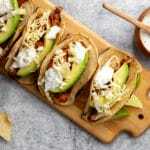 Stuff the squash into tacos with black beans and avocado. 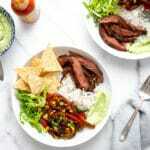 The creamy chipotle sauce that I mentioned from Build-a-Bowl is especially delicious with those tacos! 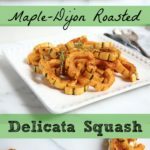 Be sure to check out these other recipes that feature delicata squash! 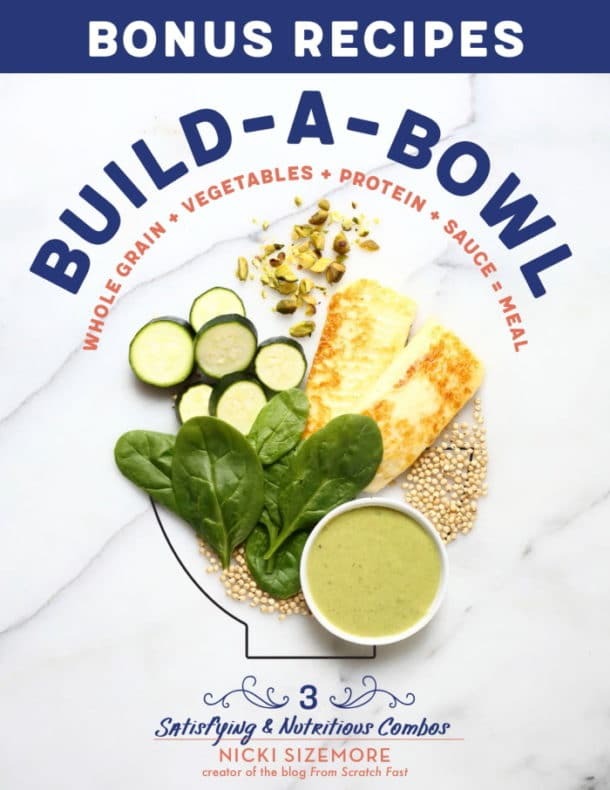 Follow me on Instagram and Facebook for more recipes and tips! 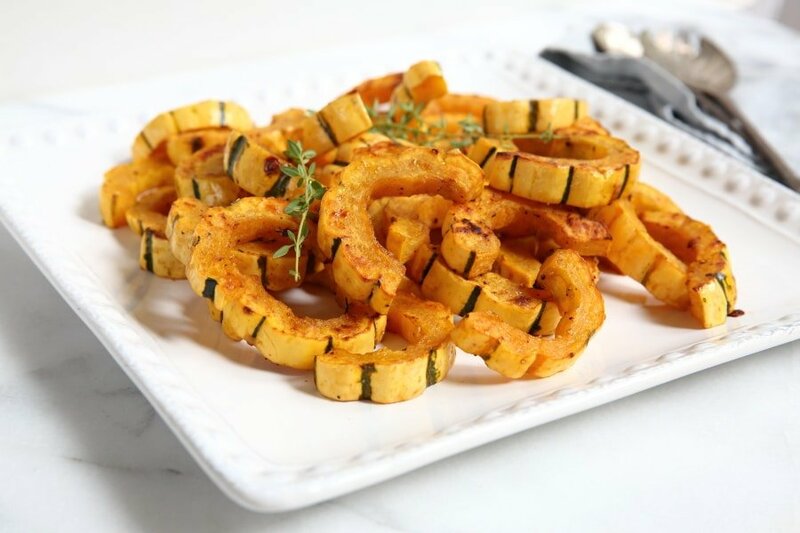 With sweetness from maple syrup and a slight kick from Dijon, these roasted delicata squash rings are fabulous on their own as a side dish, or as an addition to salads, grain bowls or crostini. 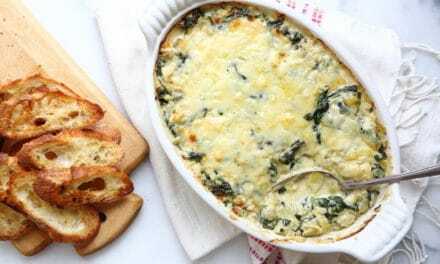 You can serve them warm or at room temperature, meaning you can make them in advance. 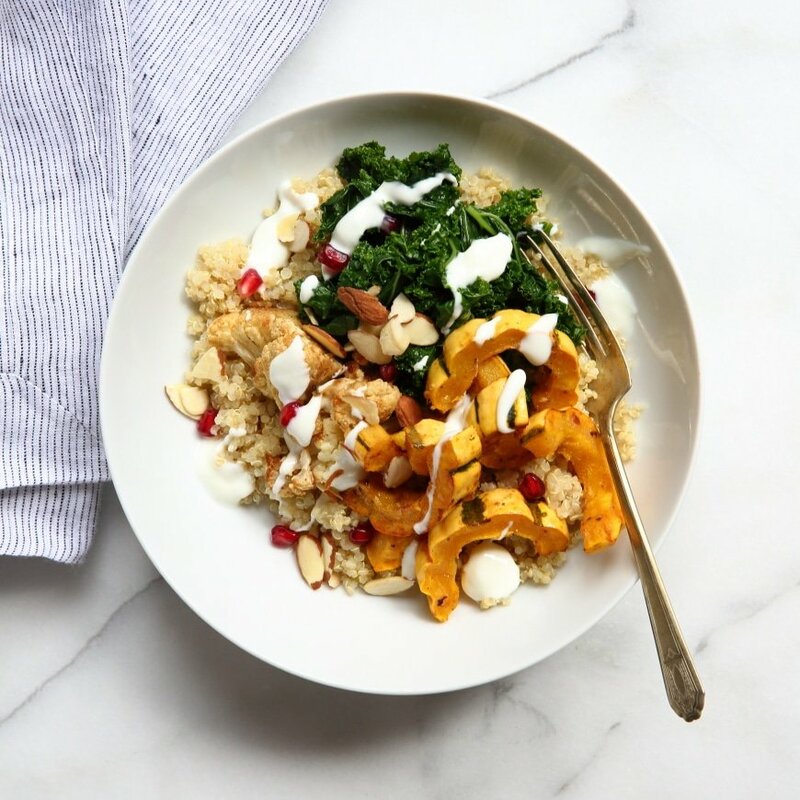 One of my favorite things to do is to layer them in a salad of mixed greens, roasted nuts, goat cheese and pomegranate seeds—you can get that full recipe by searching “delicata squash salad” up in the search bar above. 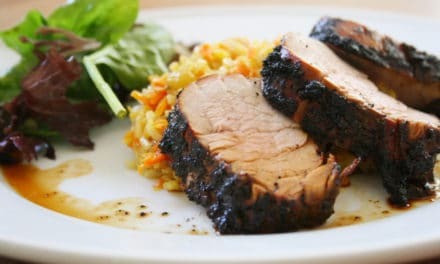 Also, be sure to check out the other serving ideas in the post above! Cut off both ends of the squash then cut the squash in half lengthwise. Scrape out and discard the seeds. 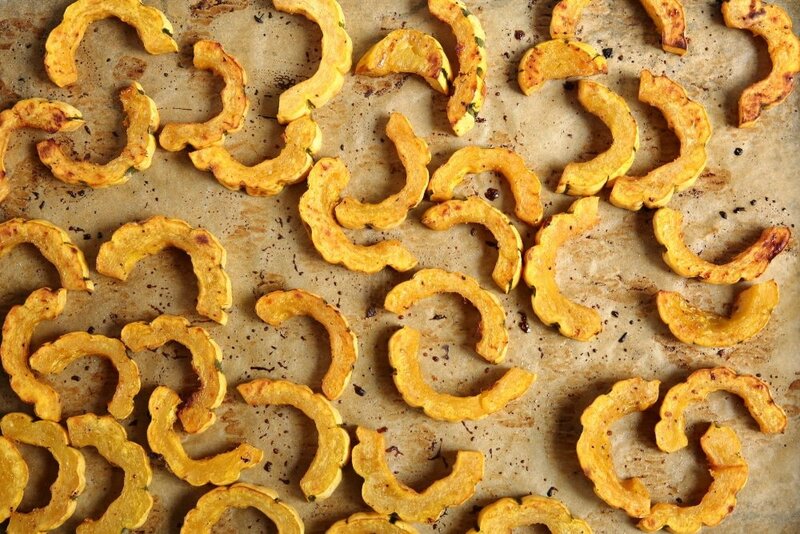 Cut the squash into ½-inch slices and transfer them to a large bowl. Add the olive oil, maple syrup and Dijon mustard, and season with salt and pepper. Toss to coat (I find it’s best to use my hands for this!). 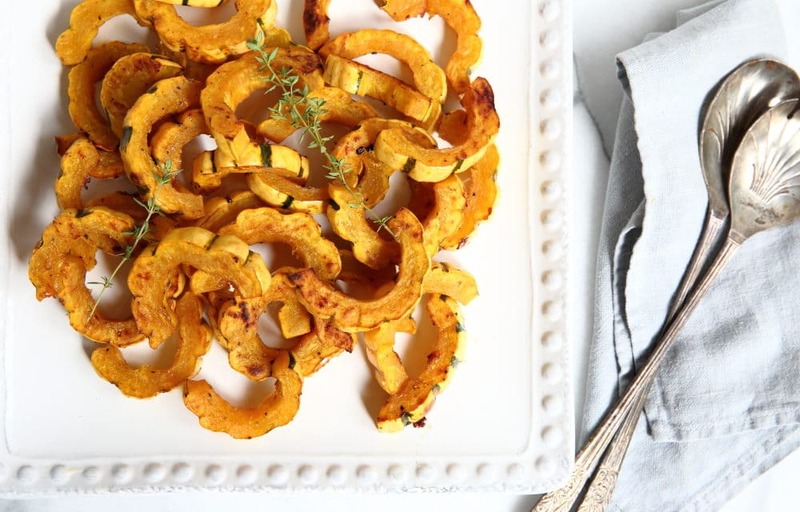 Arrange the squash in a single layer on the baking sheet and roast for 15-20 minutes, or until lightly golden on the bottom. 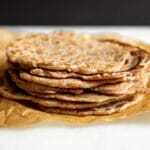 Carefully flip the slices over and continue to roast for 5-10 minutes, or until golden around the edges and tender. 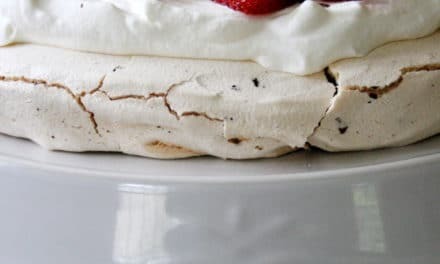 Nudge each slice gently to ensure that it doesn’t stick to the pan (you can leave them on the pan to cool, if desired). The squash can be roasted up to 6 hours ahead and left at room temperature. 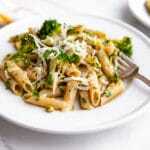 Leftovers are also delicious the next day!